The OTP-628D2 is a thermopile sensor in classic TO-46 housing. The sensor is composed of 116 elements of thermocouple in series on a floating micro-membrane having an active area of diameter 545 μm. The thermopile sensor provides nearly Johnson-noise-limited performance, which can becalculated by its ohmic series resistance. A thermistor with a lead connected to ground is alsoprovided inside the TO package for ambient temperature reference. TO-46 metal housing with IR absorber coating inside. Low temperature coefficient of sensitivity. 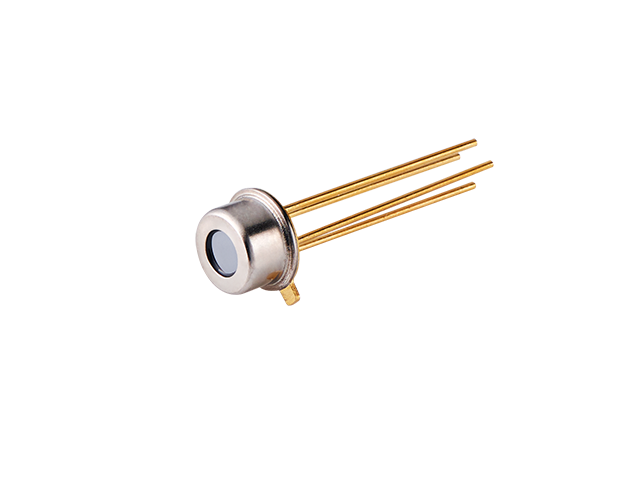 Ideally suited for ear thermometers, miniature pyrometer.